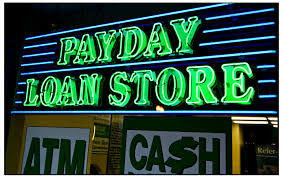 Between 2013-2014 the Catholic Conference hosted listening sessions to address the cycle of debt created by these unregulated products of payday and auto title lending. These are the testimonies of people who have been victims of payday lenders across the state of Texas. Have you taken out a cash loan and continue to make payments? Have you been exhausted of your resources as a result of paying off a payday or auto title loan? Perhaps, you struggle to make ends meet and the current "fast" cash won't go away fast enough. It is important you file a complaint and tell your story. A difference in current Texas law can be made but we need your help. Help us put an end to predatory lending! If you or someone your know has a story to tell regarding the abuses of payday or auto title loans please contact us. After her daughter was diagnosed with cancer and was short on money she was advised by a family member to take out a payday loan. Debra took out two payday loans to buy her nephews Christmas gifts. Despite paying way over her borrowed amount in fees, Debra received threats of serving jail time. Adan took out a payday loan to make ends meet. Although Adan is deaf, there was no interpreter in the process. He felt he was taken advantage of when one day the lenders gave him a stack of flyers to refer his friends and family in exchange for $20 dollars. Carla is a social worker who comes across victims of payday loans on a regular basis. She provides her clients with education and advice when dealing with finances. In her experience, payday or auto title loans ultimately lead to a financial burden and bad credit.